Did you know that the world’s population is set to increase from seven billion people to more than nine billion in the next 40 years? In order to meet this growing demand, agricultural producers will have to increase food production by a staggering 70 to 100 percent. This all needs to happen in a world with increasingly unpredictable weather patterns and ever-rising farm input costs. You probably have a pretty good sense that I am a firm believer that precision agriculture and information is a big part of the answer. This is all about leveraging technology to provide more timely and accurate data in a way to increase efficiency and productivity by cutting time and overall cost. It is about doing more with less. But how are we getting there? One difficulty with wide adoption of UAVs, in general, is that companies develop and sell them with the mentality, ‘Here is a great solution… Lets go find a problem it can solve.’ As UAV companies are quickly discovering, the key to making a successful platform is to make it as hands-off, easy to use and as industry specific as possible. 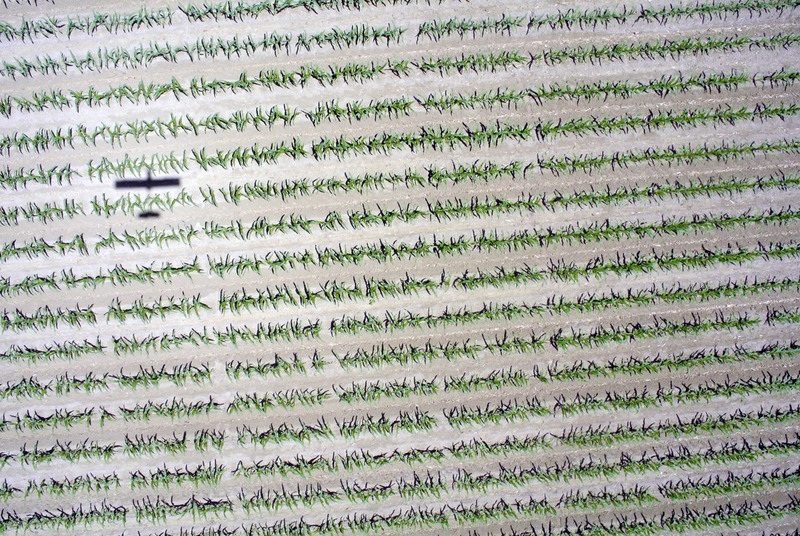 In agriculture, farmers are not interested in learning how to be, or dedicating somebody to be, a UAV operator. They need a tool that is a part of their everyday workflow. With that approach in mind, our team at PrecisionHawk did not actually start out to build UAV platforms. From the beginning, it was apparent to us that the agricultural market was not well served from a data perspective, and we had a clear focus as we began building the internal intelligence. The more users we spoke to, the more obvious it became. If you could survey land with an extremely tall stepladder, people would do that! In other words, all that matters is the data. So, the frequency with which it can be collected, its quality and its ability to be processed, managed and stored becomes critical to how useful it is. 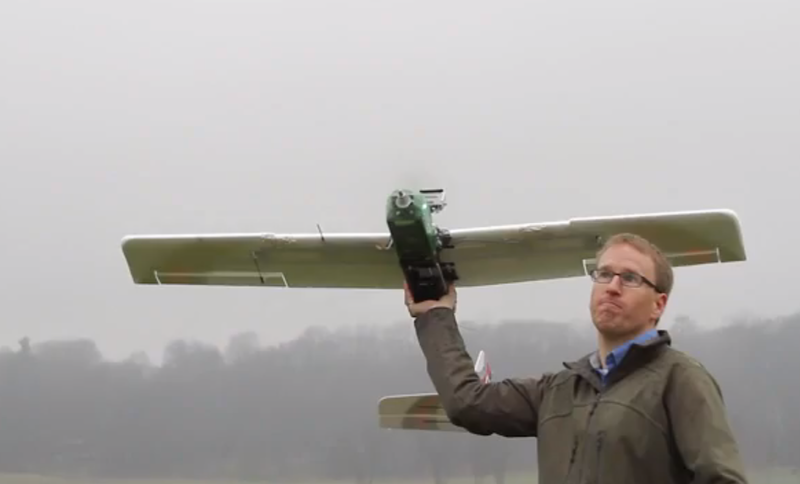 You may have an advanced, smart UAV, but where does the value of that system lie? At PrecisionHawk we have been fully invested in the agricultural industry, and as we approach the new year, we’ve identified three areas of emphasis necessary to advancing precision agriculture. Provide more options. Basic visual imagery can be extremely useful, but how can you get the most out of your aerial surveys? Companies are already beginning to understand the power of hyperspectral and lidar sensors and how they provide more complete and meaningful sets of agricultural data. Hyperspectral sensors, like the one that we fly on our Lancaster platform, show the user 100 channels of light, identifying a big picture that is invisible to the human eye. These sensors also provide consistent 1 cm resolution, which is a game changer for improving yield. Lidar sensors perform short range, high resolution, topographic analysis specifically where vegetation exists and when photogrammetry is unable to provide the required information. These tools bring a new dimension to analyzing data in problem areas, and these are just a few examples of sensors that we use. The available payloads run from UV, through visual, near IR and into thermal IR can be just as critical for obtaining data. When you look at the data pipeline that will allow growers to make informed decisions about their crops, you need to have the right sensor at the right time. That means options. A very important potential application for small UAVs in farming is crop protection. When we built our first platforms we dressed them up as hawks, as you can see above, to scare away birds that were destroying an enormous amount of potential yield in vineyards in Canada. In one bad swoop pest birds can strip an entire vineyard bare. Make your platform flexible. I anticipate a big move towards payload systems that are swappable and removable. It always comes back to ease of use. A farmer will be able to collect more of what they need when they need it if sensors and batteries have the ability to be changed quickly. I strongly believe in this proposition, and these principles have helped guide us as we move towards opening our own payload system. Move data quickly through the cloud. Surveyors need access to usable data immediately. Moving a lot of data from a UAV into the cloud and down into a user’s hands can take a lot of time. The future is a farmer who is able to see the instant result of his flight. While some aspects of the data do require time to process and analyze to become useful information, there is also huge value in being able to see survey results immediately. Oftentimes, being able to look at a comprehensive presentation of the data allows a scout or grower to go and ground-truth the problem without ever having to schedule a second trip to the field. Automatic processing is the future. When a platform is collecting data, on-board intelligence should have the ability to recognize and analyze the imagery to ensure it meets the standard for optimal processing. The data collection you see above is up to 1.5 cm/pixel resolution and we frequently go as low as 1 cm/pixel. Go mobile. Mobile is king. Every other business puts a premium on their mobile presence, and agriculture should not be excluded. Farmers will soon be able view, manage and share processed data, instantly from the field, on their smartphone or tablet. Moving big data in the UAV space. Again, it all comes back to the data. When UAVs are taking 900 plus snapshots of visual imagery in a day, where does that data go and how do you manage it? We’re talking about terabytes of information. Finding the quickest and most cost effective ways to automatically process data, store it securely and manage it for ease of use and scalability will be necessary. You have to automate. Automation results in rapid turnaround time and the ability to provide competitive pricing. When data is collected with a high level of confidence, it should have the capability to be automatically processed without a human touch point. Companies that don’t adapt to this model will most certainly be left behind. The key feature in this model is that systems must be able to guarantee that the information collected will be useful, high quality data. This is an industry that is all about short time windows for understanding what is happening and taking action. Often there isn’t an opportunity to go back out and get the data again. On-board intelligence is the most critical part of an advanced UAV platform. 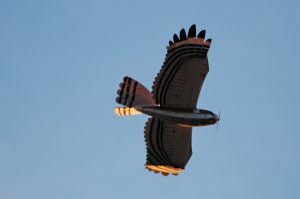 Dr. Earon’s background in artificial intelligence is what led PrecisionHawk to put such a premium on intelligence that will promote ease of use and efficiency. With all of that said, and rightly so, about data, we still need to go back to the plane, as the collection mechanism is critical to the quality of the information you receive. We continue to make great strides through R&D with a focus on enhancing the user experience and delivering meaningful results. By integrating more ‘smarts’ onto the plane, we’re able to make our platform easier to use and less prone to human error. Each will be key in helping farmers drive decisions that will increase productivity and efficiency and, most importantly, overall yield.